As we've mentioned before, very few companies explore the topic of divorce, or its ramifications for families, in their advertising. It's just too depressing, the thinking goes, even if it's also, of course, relatable to so many millions of people worldwide. A few brands have taken the risk—Honey Maid, of course, and also Ford, which rolled out this beautiful and sad short film earlier this year. Now, it's Ikea's turn. Check out the spot here. Created by Stockholm agency Åkestam Holst and directed by Martin Werner at Bacon, the spot tackles the issue of divorce for good reason. Rather than present glossy facsimiles of life, scrubbed to perfection, the furniture retailer wants its target consumers to feel like it really understands their lives—and not just the sunny parts. "Where life happens" is the tagline on this spot, and eight more coming this fall.
" 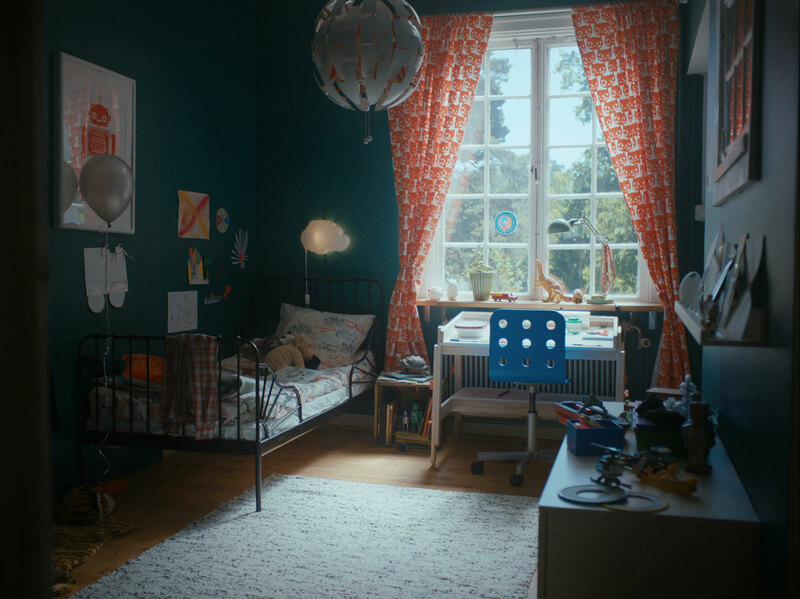 'Where life happens' dramatizes various aspects of Ikea's genuine presence in peoples' everyday life," the agency says. "Through this constant interaction, Ikea continuously learns about how people live and what they need. Their lifestyle sparks the inspiration to develop products and solutions that fit with everyday life in an even better way." Ikea is "right there where life happens, whatever happens—and is not afraid to show it like it is," the agency adds. "Living in two homes with divorced parents is a reality for many children in Sweden. Ikea can ease this situation and perhaps also ease some bad conscience among single parents and help acknowledge the children." As for the ad's unusual (for today) 4:3 aspect ratio, an agency rep tells us it was an idea the creatives had together with Werner—they wanted to get "closer to reality," and they thought using 4:3 would bring them there.